Missouri is ranked fifth in the country for the lowest cost of living and ranked 18th for the highest percentage of seniors in the population. The overall cost of living index for Missouri is 90 compared to 100 for the nationwide average. This means that your retirement dollars can go much further if you are a Missouri resident. 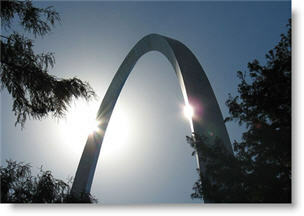 Missouri is also a bargain because it offers a low cost of living while offering a high standard of living. Unlike some of the other low cost-of-living states, Missouri offers an excellent selection of senior living options and state-of-the-art medical care centers. Another important fact is that Missouri requires a license for both assisted living facilities and nursing homes. This means that assisted living communities in Missouri must be maintained at a minimum level of safety. The Department of Health and Senior services inspects Missouri assisted living facilities twice per year. This is one of the most frequent inspection programs in the country. In addition, the inspections are available online at www.dhss.mo.gov/show melongtermcare. Inspection Reports are also posted at the facility. To find out about complaints for a specific assisted living facility, you can call the DHSS at 573-526-3050. To file a complaint, called the DHSS elder abuse and neglect hotline at 800-392-0210. You may also want to submit a review on this site to help spread the information to other Missouri residents who are searching for assisted living facilities and other senior living options. This directory includes 962 assisted living options for Missouri. Use the "Advance Search" to find the nearest 40 senior services based on your desired location or select a city and then choose a tab to see different types of senior care including nursing homes, Alzheimer's care centers, CCRCs, independent living, in-home and hospice care. Here are the direct links to Kansas City Nursing Homes, Springfield Nursing Homes, St Joseph Nursing Homes, St Louis Nursing Homes, or use the advanced search and limit your results to Nursing Homes. The proximity to friends and family is usually the single most important factor in selecting a facility. It is very important for residents to have visits from nonresidents and also to have an independent advocate that can assure that their care is up to standard and help them make decisions when the time comes. This factor in conjunction with a cost are the foundation of selecting an assisted living facility. another critical factors in selecting an assisted living facility is the proximity to state-of-the-art medical services. Easy access to cancer treatment, geriatric support and other special senior medical services can help extend the life and increase the quality of life of seniors significantly. Another factor is the environment at the assisted living facility. Use the reviews on this site and speak to residents and staff to get a better feel about how residents feel about their facility. It is best to visit as many facilities as possible during your selection process. Tried to get a list of activities and see if those activities would interest yourself or your family member. Speak to the staff and use our check sheet to ask some of the more difficult questions about the facility. You may also choose to eat a meal in the dining hall to make sure that the quality of life is up your expectations. Once you have selected an assisted living facility, please return here and give us your feedback about the facility and your selection process. In this way, you can help other Missouri residents find the best assisted living facility as you have done.